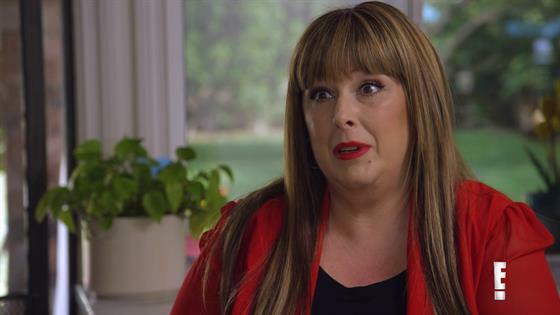 Carnie Wilson is still mourning a loss. In this sneak peek from Sunday's all-new episode of Hollywood Medium With Tyler Henry, the musician meets with Tyler Henry in the hopes of connecting with her ex-fiancé, Steven. "I have something in mind," she says before the reading. "I have something very specific in mind. It's very fresh, so I'm curious to see if he's going to pick up on this." Tyler does in fact pick up on it and reveals, "He's referencing to the fact that he feels his passing could have been avoided." "He was an alcoholic," Carnie says. "I used with him. We were addicts together, but I was the one who stayed clean and turned my life around, and he didn't. I feel guilt around that." Check out the video above to watch how Tyler helps her cope with her grief.